Find the perfect mandolin chords! Need help finding the best chords for mandolin? Use MandolinChordsCompass. In this program for learning to play the mandolin, you’ll find hundreds of chords for Mandolin and its varieties: mandola and mandochelo (it has a standard structure of mandolin by default). MandolinchordsCompass is designed for both left-handed and right-handed. It is compatible with a set of musical instruments of GarageBand, has a volume control option and graphics with very high resolution. 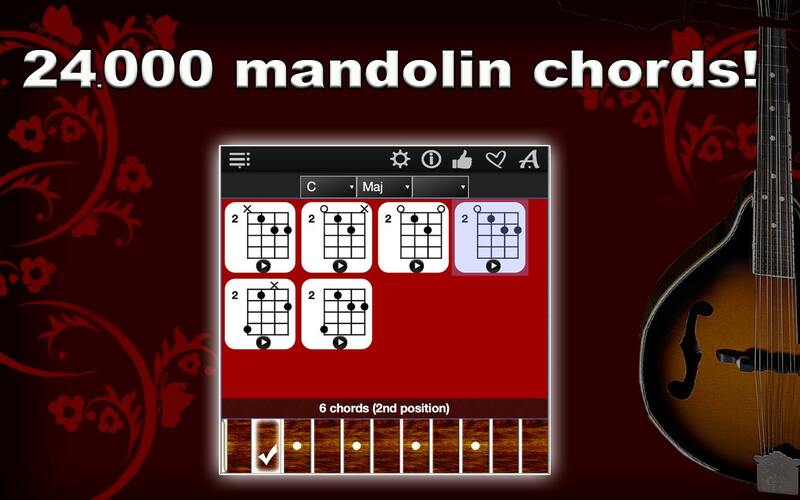 MandolinChordsCompass will show you all the possible chords, which you can think of. They are presented in the form of chord diagrams with indication of the position on the virtual fretboard oft he mandolin. 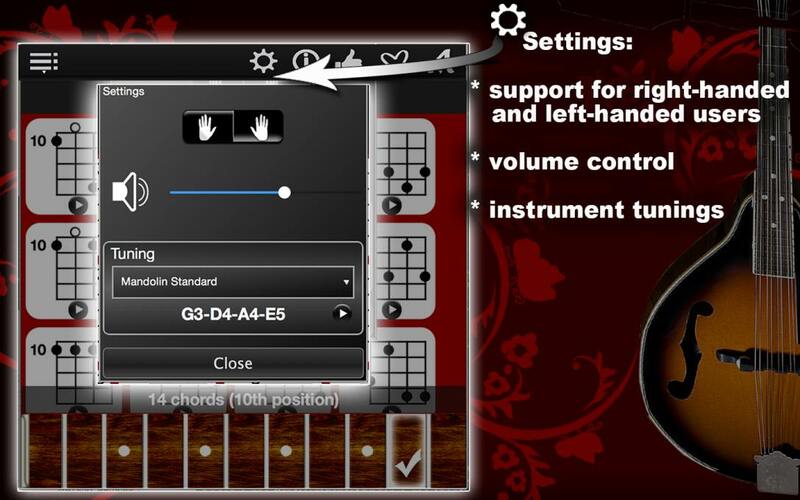 Choose any chord, marking its tone on the left, chord type in the middle and chord type addition to the right and the app will show all the chords of this type in any position on the fretboard of the mandolin. Click on the fretboard to change the position. Listen to all the chords with authentic sounds oft he mandolin. MandolinChordsCompass offers one of the easiest ways to learn to play the mandolin while you are checking out and learning chords and getting familiar with their notes and location. You have the ability to save any chords for your future playing, as well as make notes for your favorite songs. 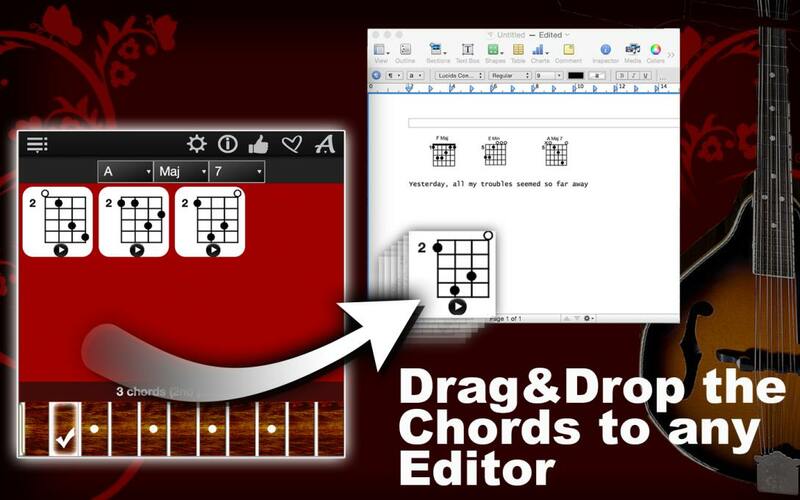 Just drag and drop your chords in the editor and save it as a document. Have fun learning the mandolin chords with Mandolin Chords Compass! Try our FREE version of Mandolin Chords Compass Lite! Hello everyone and welcome to MandolinChordsCompass! 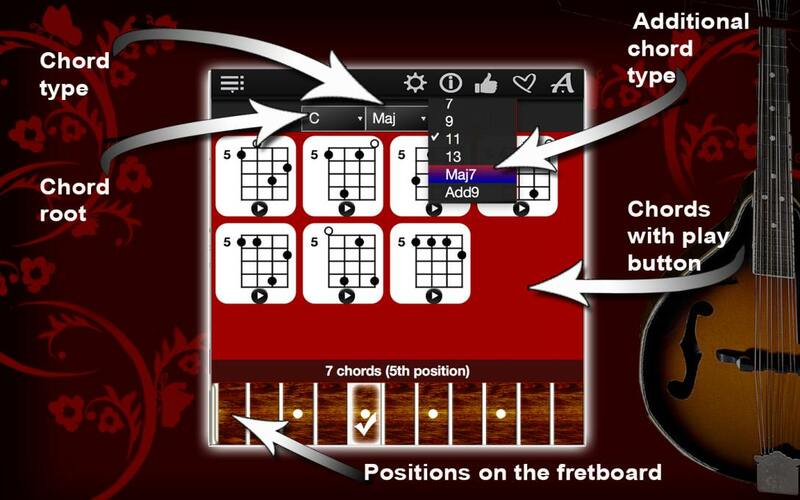 In this app you will find chord charts in all possible variants, for all 11 positions on the fretboard of the mandolin. 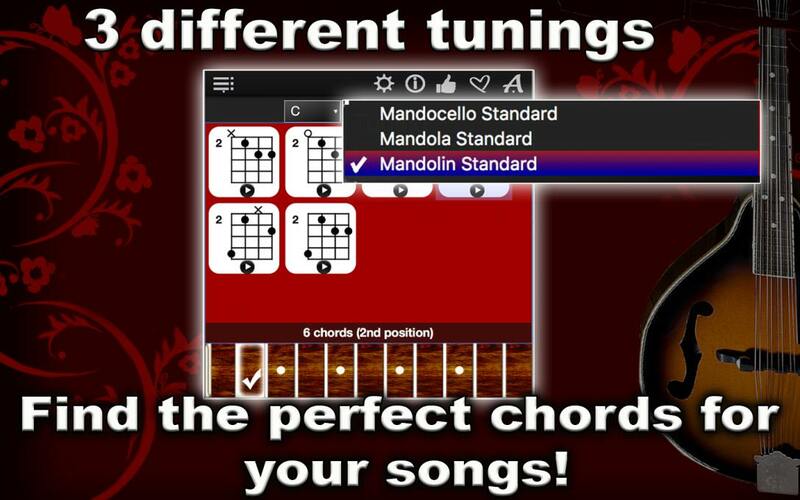 In MandolinChordsCompass yo will find chords for all popular tunings. Simply go to the settings and select the tunning that you are using. The standard system is installed by default. Choose a chord marking its tone on the left, and chord type in the middle, if you wish, addition to the type of the chord is on the right , and chord is ready for viewing. Now select the position on the fretboard. This figure shows that there is a huge number of available chords. Let’s try to find out how they sound! And now try to find the chords yourself. Learning chords with MandolinChordsCompass is so much fun!